They say the desire to be up in the great blue yonder is something you’re born with. 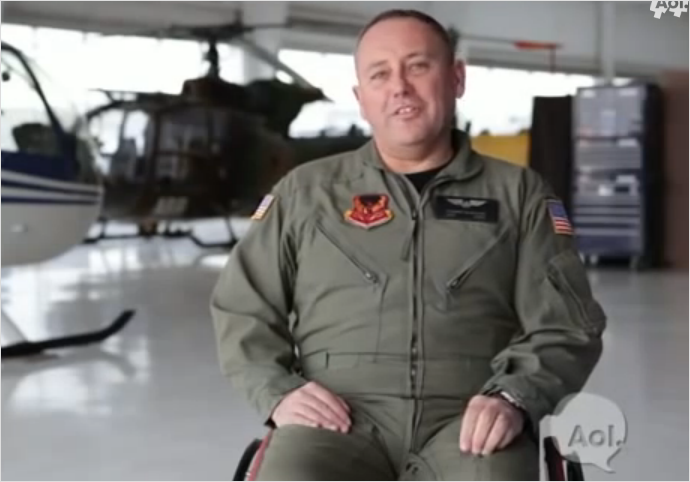 If that’s true, then that certainly explains Captain Stewart McQuillan’s lifelong passion for aviation, the world’s first paraplegic to fly a helicopter. A hardy veteran of the Royal Air Force, McQuillan’s father and grandfather were both pilots and he himself began flying at 11 years old, but he’s much more than just a pilot. He’s also an electrical engineer and the brain behind a groundbreaking device that allows those with paralysis to fly a helicopter (or any other rotary device).